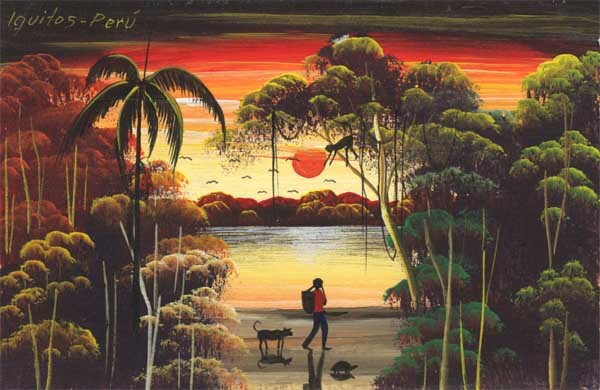 As the sunsets (a persistent theme in art postcards from the Amazon), a man walks home carrying a basket, with a dog (and tortoise!) following behind. A monkey is using its tail to hang from a tree. The palm tree (left) is rather similar to the heart of palm tree.